Ciudad Azteca, Mexico City's TRANSMETAL, centred upon the erstwhile TEMPLE DE ACERO sibling Partida triumvirate of guitarist Juan, bassist Lorenzo and drummer Javier, is amongst the very biggest of Mexican Rock acts, having performed in Mexico, the United States, El Salvador, Colombia, Ecuador, Peru and Bolivia. 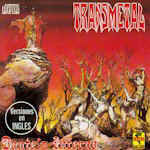 The studs n’ leather bedecked TRANSMETAL, founded during January 1987, have stuck to their Thrash / Speed Metal stance over nearly twenty Spanish language albums. 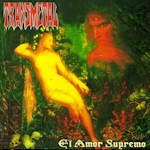 Upon their formation TRANSMETAL was fronted by vocalist Alberto Pimentel, who featured on the 1988 debut ‘Muerto En La Cruz’, produced by Dark Angel’s Eric Meyer, and the follow up ‘Desear Un Funeral’. On June 18th 1989 the group opened for Death at the Naucalpan Arena Lopez Mateos. In 1990 Pimentel departed to found LEPROSSY. Alejandro González of ILLUSION, and subsequently frontman for Arkhe, would fill the vacancy before Juan Carlos Camarena took the role of second guitarist. The band featured on the high profile ‘New Titans Over Mexico’ tour of 1991, these shows sharing billing with Sacred Reich in January, Kreator in July and Sepultura in December. On May 3rd 1992 TRANSMETAL supported Overkill at the Arena A. Lopez Mateos in Tlanepantla then appeared as part of the ‘Mexican Mosh’ festival alongside Sick of It All, Deicide and Nuclear Assault. 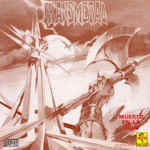 The album that year, 'Amanecer En El Mausoleu', featured a cover version of 'Killers' by French band Killers. On November 8th the band scored the high profile support to Black Sabbath's concert at the Palacio de los Deportes in Mexico City. 1992 witnessed the departure of these latest two recruits and Alberto Pimental resumed activities with the band on a stand in basis. A successful Mexican tour during October found TRANSMETAL headlining over Mortuary and Inquisidor. The band's status would engender a further slot at the March 1993 ‘Mexican Mosh’ festival event, this time sharing honours with OVERKILL, KREATOR and Monstrosity among others. 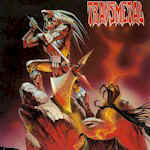 The following year TRANSMETAL, together with fellow native acts Angeles del Infierno and Rata Blanca, represented Mexico at the June 1994 ‘Monstruos De Rock’ gathering in Spain. The group notably guested for Slayer on September 10th at the Mexico City Balneario Olimpico. 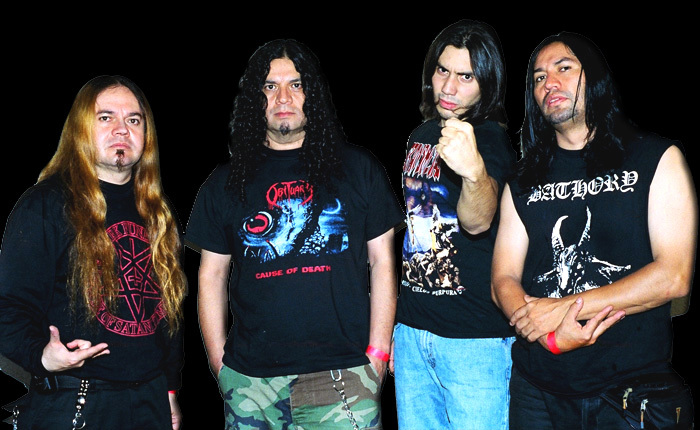 Pimentel would opt out yet again to forge another version of Leprosy (spelt with one ‘S’ on this ocassion) assembling a new band including Ramses guitarist Julio Marquez and ex-INQUISIDOR drummer Felipe Chacon. 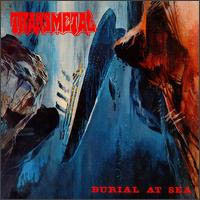 TRANSMETAL took onboard the esteemed former Luzbel and Huizar frontman Arturo Huizar as their lead vocalist but by February 1998 two members of Panic, vocalist Mauricio Torres and guitarist ‘Eric Towers’ (a.k.a. Ernesto Torres) stabilised the band for the album 'Las Alas Del Emperador'. 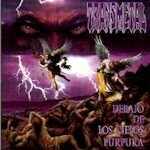 Meantime, Lorenzo Partida and ex-TRANSMETAL vocalist Alejandro González would create the side project Ultratumba. 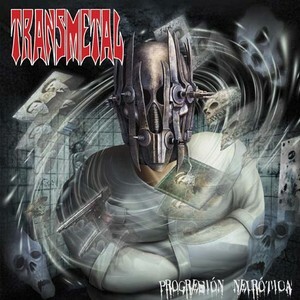 TRANSMETAL's show at the Adolph Lopez Mateos de Tlalnepantla Arena in Mexico City in July 1999 was filmed and recorded, subsequently put out as two live discs 'dubbed XIII Años... En Vivo - Primera Parte' and 'XIII Años... En Vivo - Segunda Parte'. 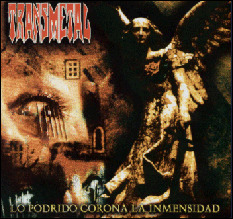 TRANSMETAL took a novel approach of recording tracks for two albums at once, 'Tristeza De Lucifer' and 'De Bajo De Los Cielos Púrpura', these sessions held in Hammond, Indiana with producer Mike Sheffield. 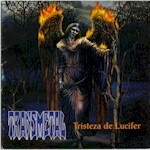 Upon the release of 'Tristeza De Lucifer' the group toured South America during 2001. Shows in Bogota, Colombia, Manizales and Calí in Colombia, River basin in Ecuador, Arequipa in Peru, La Paz and Santa Cruz in Bolivia would prove a first for a Mexican Metal band. 'De Bajo De Los Cielos Púrpura' then arrived in July 2000, prompting a 30 date run of shows across the USA. That same year the debut album 'Muerto En La Cruz' would see a CD re-issue, adding four extra tracks. 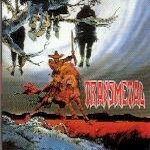 The band's legacy would be honoured in 2001 with the delivery of no less than two tribute albums in 'Milicia Infernal... Tributo a Transmetal' and the live 'Milicia Infernal... Tributo A Transmetal (En Vivo)', both released on the Denver label. Those paying homage included LUZBEL, PANIC, Disgorge, Ricter, Allusion, ULTRATUMBA, Domain, Ira, A.N.I.M.A.L., Leprycorn and Mechanical Chaos. 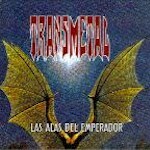 TRANSMETAL returned in September 2002 with the experimental 'El Amor Supremo', this album, their very first to incorporate keyboards and recorded at Studio 880 in San Pablo California, seeing production duties going to the Cancer, DEATH, Disincarnate, Testament and Konkhra credited guitarist JAMES MURPHY. The band's December 2003 album, 'Lo Podrido Corona La Inmensidad', saw keyboard contributions coming from Erick Fuentes Quintana and a guest guitar solo on the track 'Creador De La Amargura' from JAMES MURPHY. 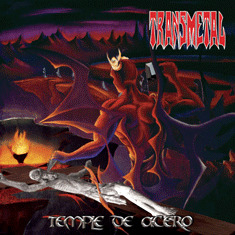 2004 saw TRANSMETAL tackling an album, 'Temple De Acero', comprising entirely of cover versions including the Scorpions 'The Zoo', Candlemass' 'At The Gallows End', Celtic Frost's 'Return To The Eve' and 'Dethroned Emperor', Accept's 'Balls To The Wall', AC/DC's 'Back In Black' and 'Let Me Put My Love Into You', Sodom's 'Remember The Fallen', BLACK SABBATH's 'Evil Woman', DEATH's 'Evil Death', Uriah Heep's 'Free And Easy' and Twisted Sister's 'The Kids Are Back'. 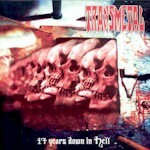 A notable compilation issued in June that same year, '17 Years Down In Hell', re-worked the tracks from the previous two albums, 'El Amor Supremo' and 'Lo Podrido Corona La Inmensidad', in English language. An unaccredited track, a newly recorded version of 'Aborrecer Al Forence', saw Mauricio Torres on vocals. New studio album 'El Despertar De La Adversidad' arrived in February 2006, capitalised on by a run of Mexican shows, gigs in Honduras, El Salvador, Guatemala and spot US gigs. The band would be back in the recording studio before the end of the year cutting the 'Progresión Neurótica' album for November.